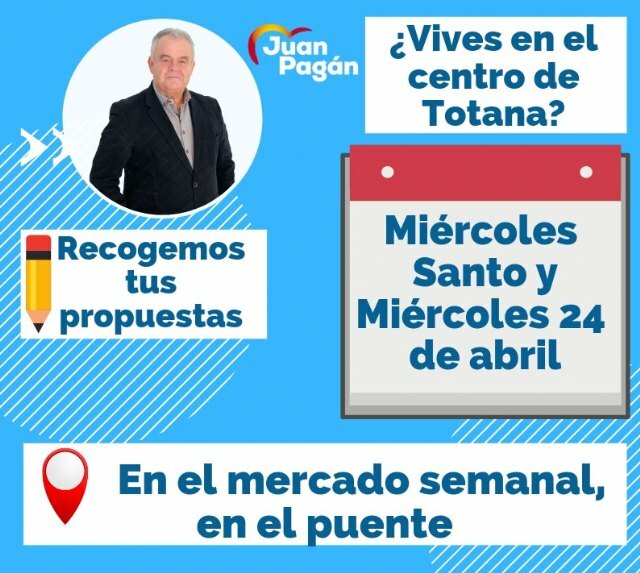 With the objective of collecting the maximum of neighborhood proposals to include them as a roadmap of the popular electoral program, the candidate, Juan Pagán, will put special interest in the area of â€‹â€‹the center of the town. 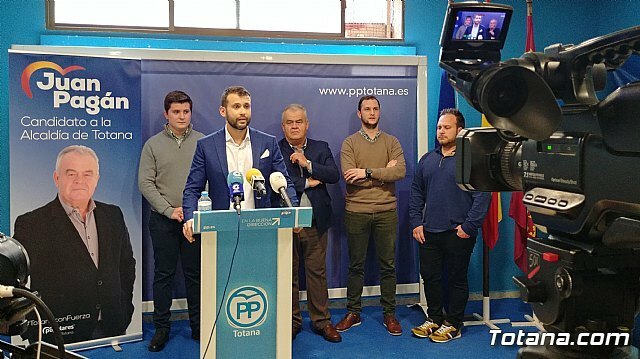 Pagan explained that for weeks meetings are held with all the groups in the town in order to collect the needs first hand, but "we found that the neighbor of the center, not represented by any association or collective, no You can reach it in the same way and to hear it we carried out this campaign directed to the center. " The candidate has explained that his goal is to speak directly with the citizen, go out on the street, listen to the demands and needs of all people who want to do it and translate them into a working document that will be the popular project roadmap for the May elections. 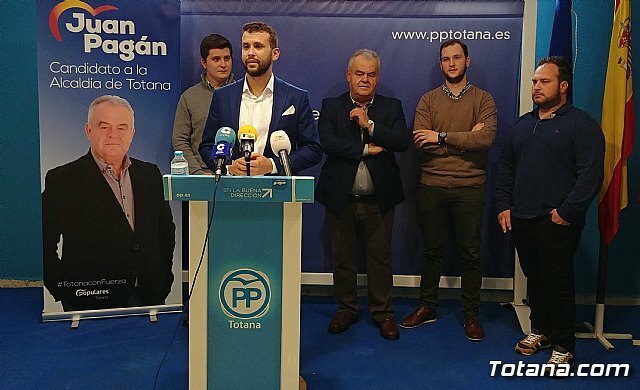 "We want the true protagonists of this campaign to be the citizens, since they have not been heard for a long time, so we need all their proposals in order to improve our environment, economy and quality of life for totaneros", said Pagán. 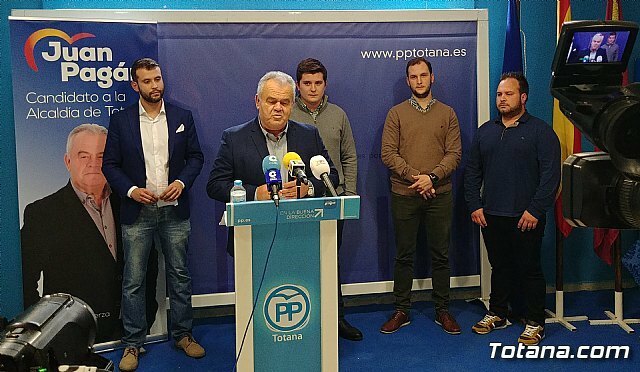 From New Generations, Alfonso Canovas Urrea has explained that a team of young people will accompany the candidate door to door through the center of the town on April 15 and 16, in addition will install a fixed point during the markets of the days 17 and 24 April , on the bridge of the old street Calvo Sotelo, C / Dr Alberto Gray Peinado.